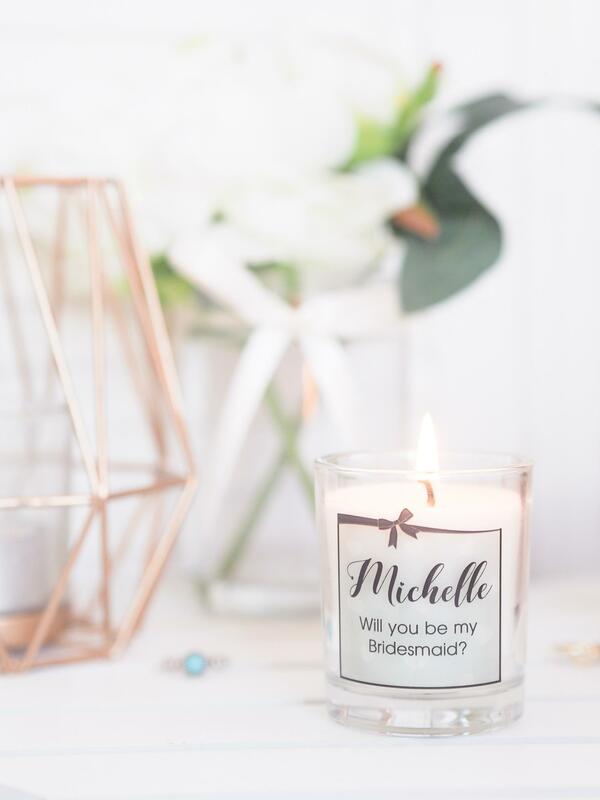 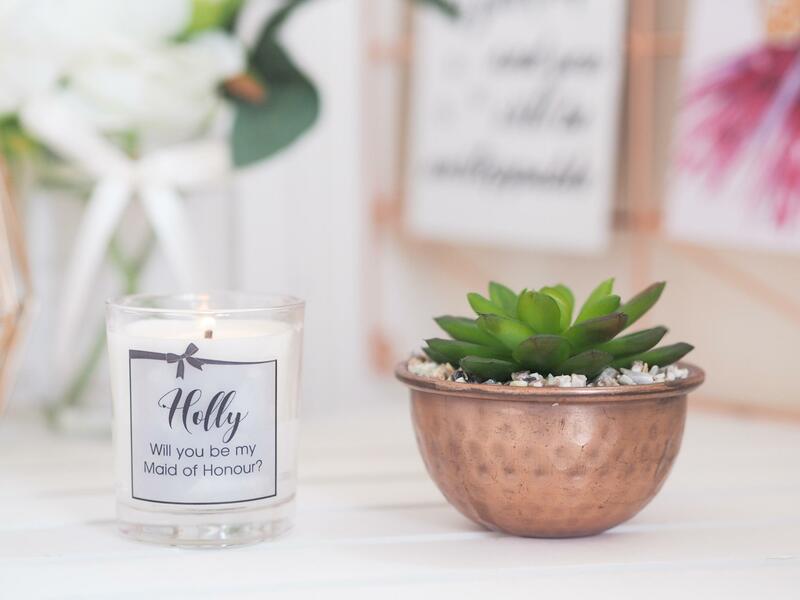 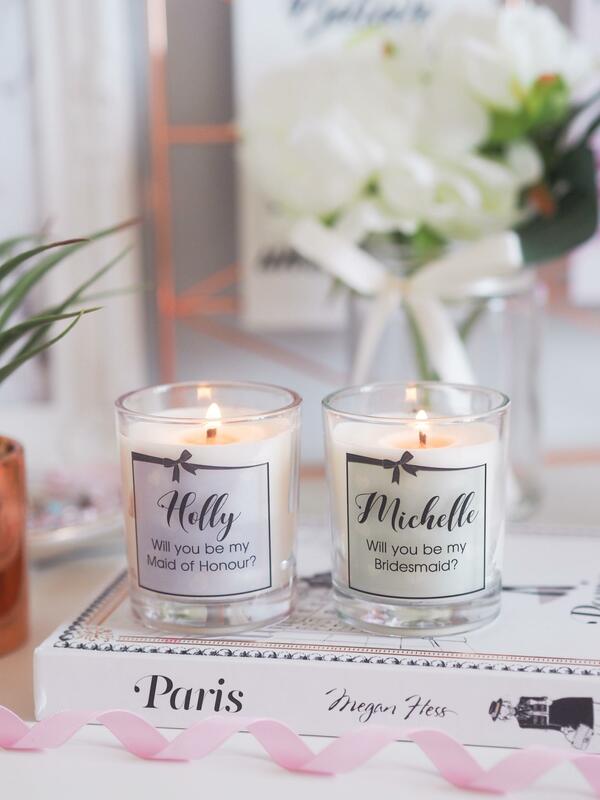 Our will you be my bridesmaid candle makes a cute keepsake gift asking a friend to be by your side on your special day. 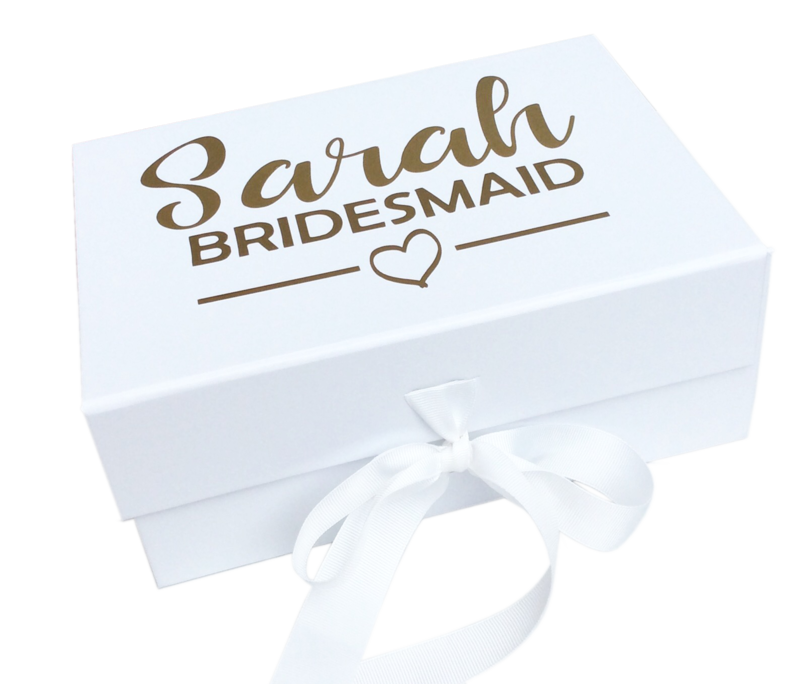 It features a square coloured box with your friends name and the all important question. 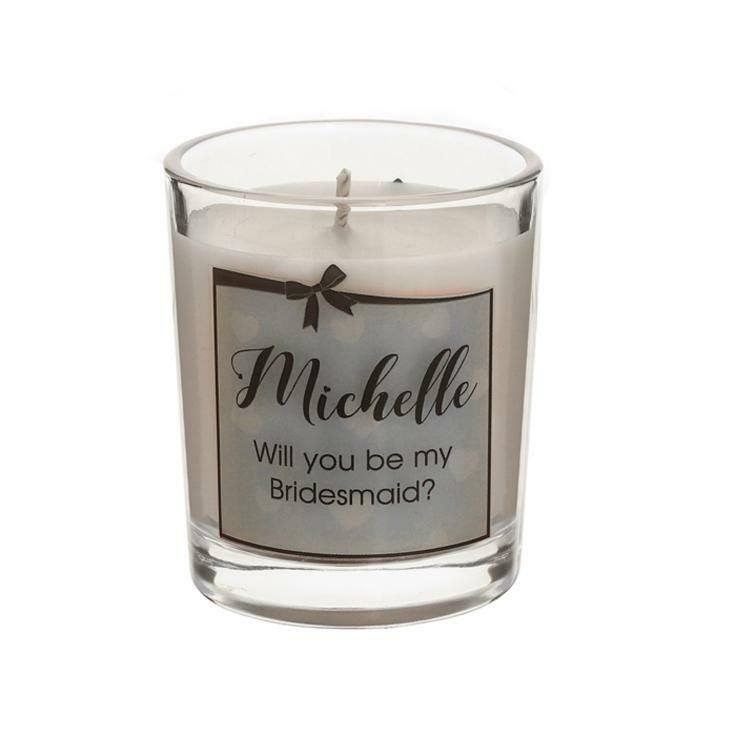 Once the the candle has burned the glass can be washed with warm soapy water and re-used as a tealight holder.